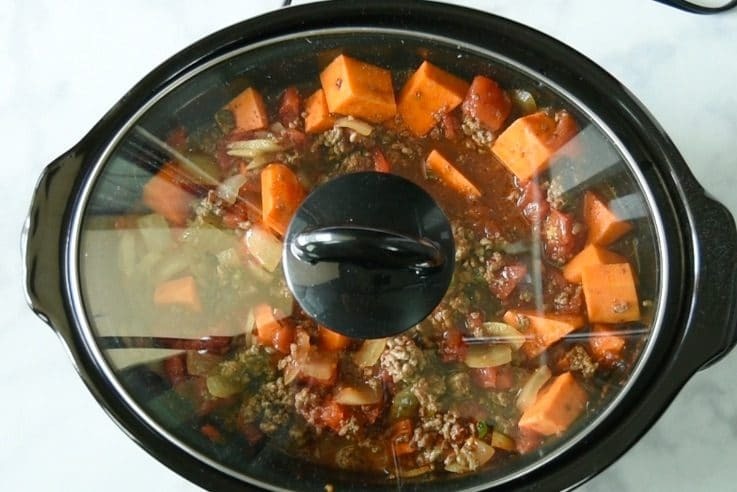 Slow Cooker Beef and Sweet Potato Chili is everyones favorite comfort food that is made seasonal by adding sweet potato. Let the slow cooker to the work and all you have to do add your favorite toppings and enjoy! 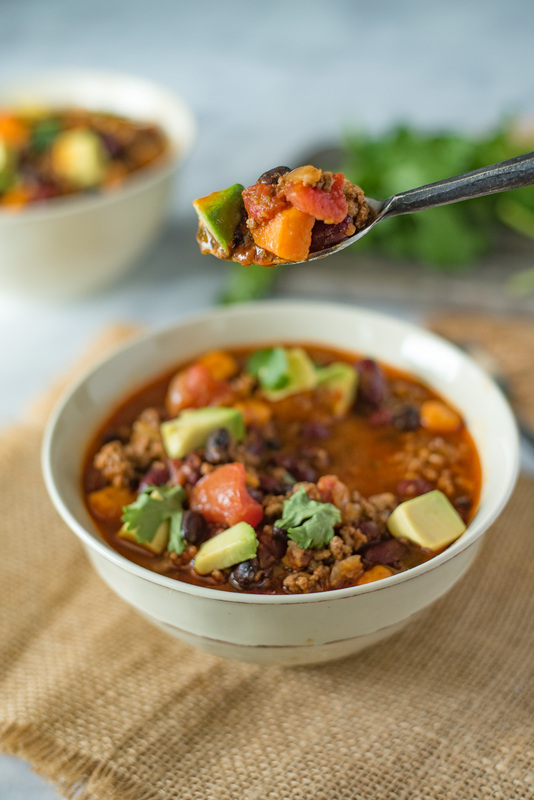 When the weather is cold all I want is a big bowl of steaming soup or chili. 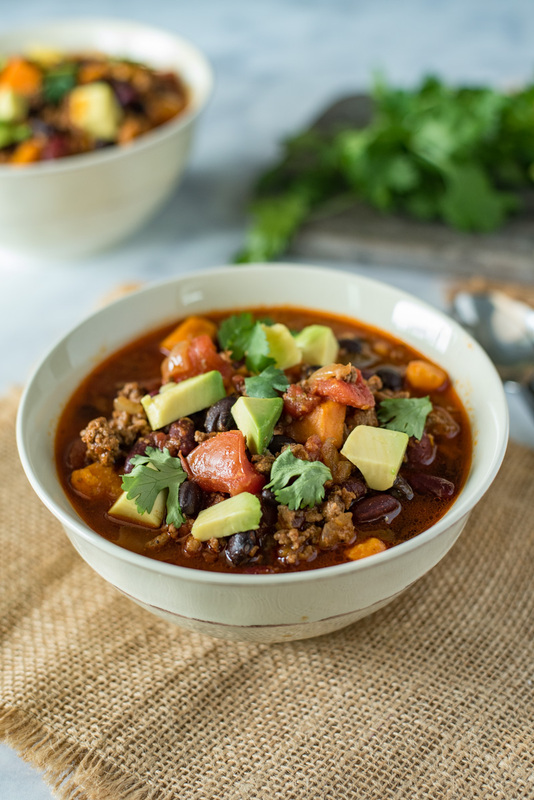 This is my signature chili that I added sweet potato to that adds a lovely, sweet and creamy texture. 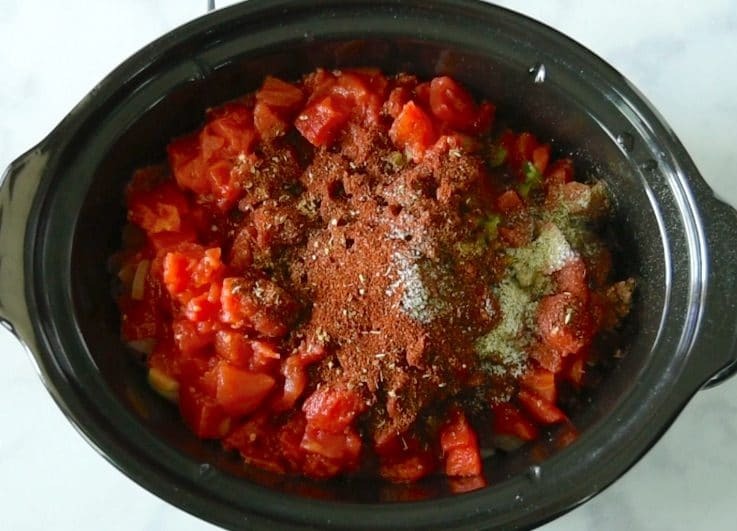 This is not a ‘dump and run’ slow cooker dish. I am all about browning the meat and softening the onions before they get added to the slow cooker. 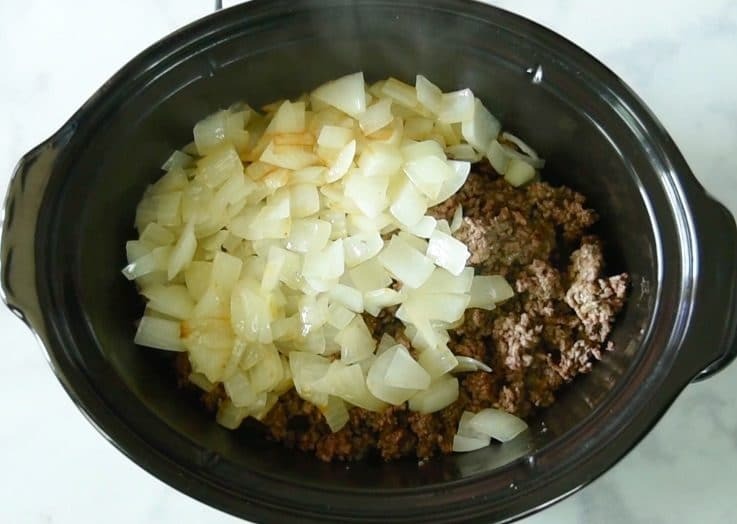 I know, it’s not very quick and easy prep, but this is the only way to get a deep and flavorful chili with crunchy onions. If you skip this step, it is just not the same. Lets talk about spice level because some people like a hot chili, personally, I like a little heat but still able to enjoy it. 1 jalapeño gave this enough heat for me, about a 4 on a scale from 1 to 10. If you want a little more heat, use a serrano pepper and if you want closer to 10, use a habanero pepper (at your own risk). To a sauté pan add oil and brown the ground beef. Add the softened onions and garlic to the beef in the slow cooker. Add cumin, coriander, oregano, chili powder, salt & pepper. Stir all the ingredients until well mixed. There are so many ways to serve chili, my favorite way is with tortilla chips. I also like to add it to baked potatoes. As far as toppings, the skies the limit, cheese, sour cream, cilantro, jalapeño, green onion, avocado. Choose all or some. 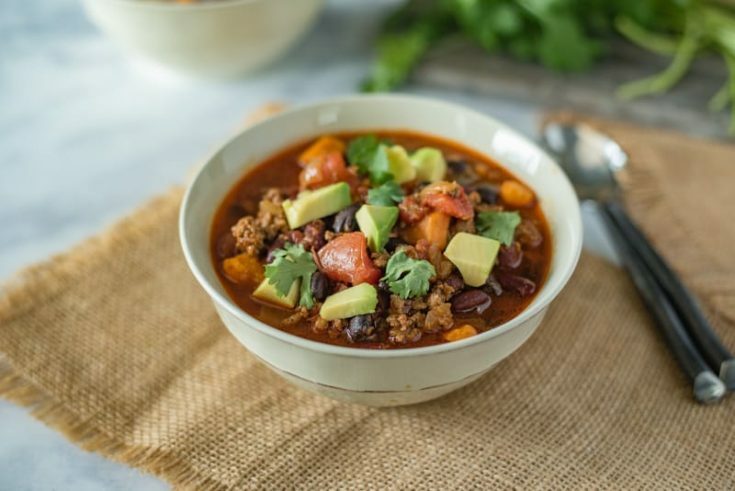 This chili freezes really well also and since this recipe makes enough 6 or more people you may have leftovers to freeze. Preheat slow cooker on low. 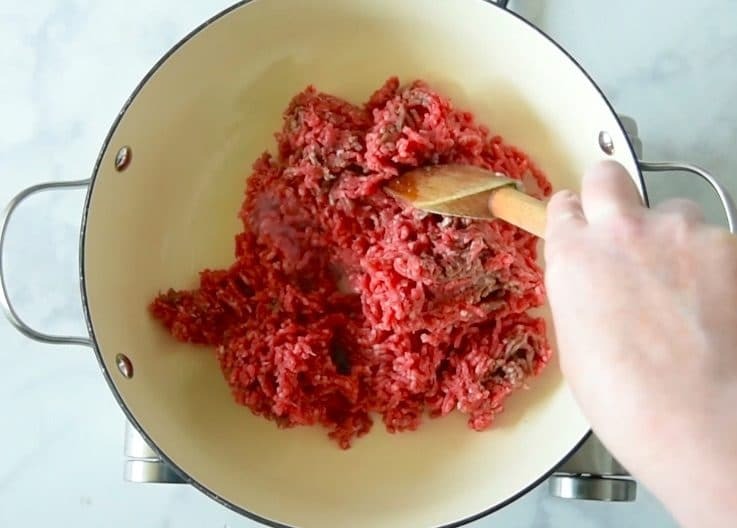 To a sauté pan add the oil over medium-high heat, add 1 tablespoon oil, half of the beef and cook, stirring until browned. Transfer to the slow cooker and repeat with the other half of the beef, add to the slow cooker. 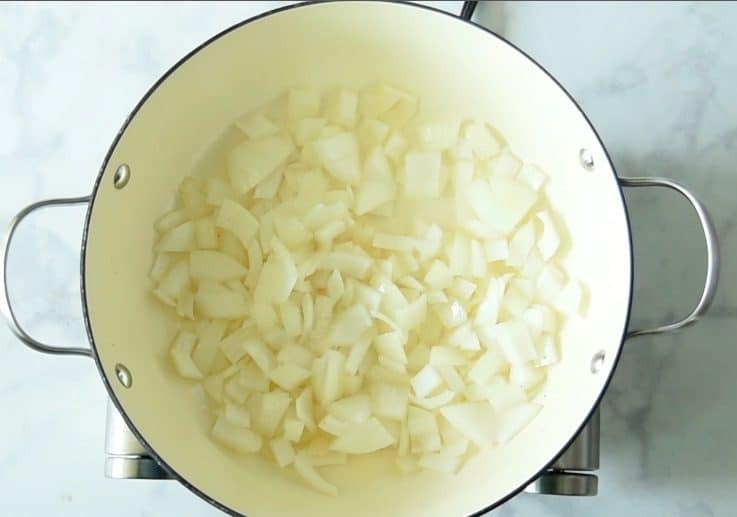 Add the remaining 1 tablespoon of oil to the same pan over medium heat, add the onion and cook until they soften. Add the garlic and cook for 1 minute, add to the beef in the slow cooker. 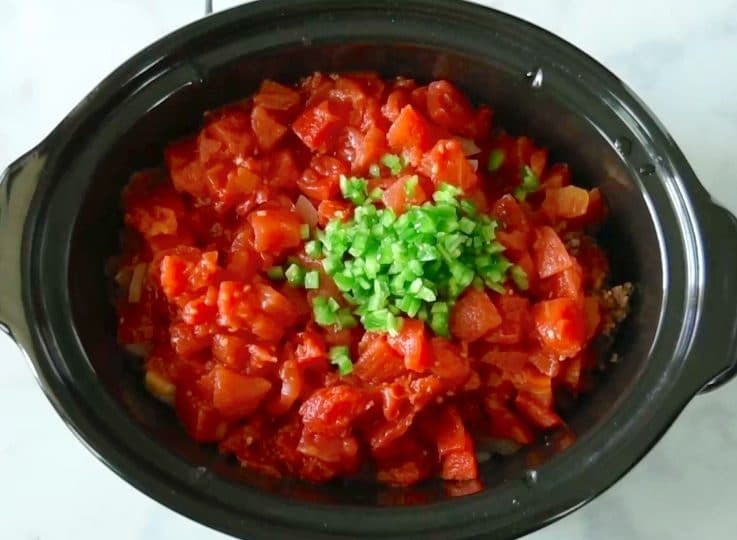 To the slow cooker add the diced tomatoes, beef stock, jalapeño, cumin, coriander, oregano, chili powder, salt & pepper, sweet potato and, stir. Cover and cook on low for 6 hours or high 3 hours. 10 minutes before serving stir in the beans and heat through for 10 minutes. Serve with your favorite toppings. I made this over the weekend and was delicious. I forgot to buy sweet potato and now I wish I had it in there. Will add it next time everyone loved it. Looks yummy! Supposed to rain all day…sounds like the perfect dinner for tonight! Hopping out of bed and going to give it a try. Thanks! PER. FECTION. Yes, that was necessary inflection. 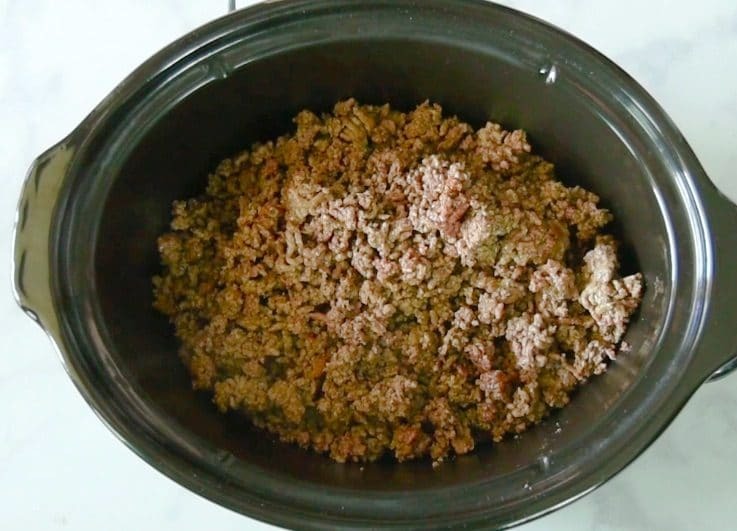 This looks SO good, and I love how simple it is in the crock pot. Definitely saving! 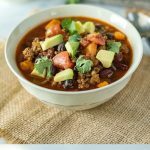 Slow cooker chili is the best! 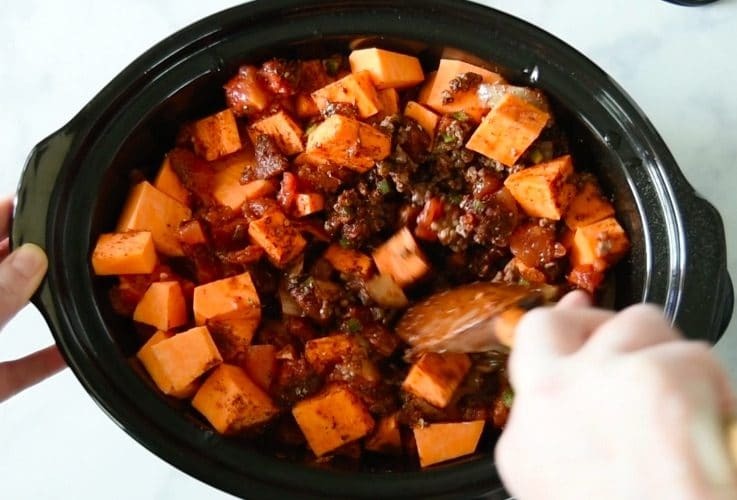 I’ve never put sweet potato in my chili but I can’t wait to try it because this looks so delicious!! And super easy! Great recipe! Slow cooker chili’s are something I don’t do enough of. 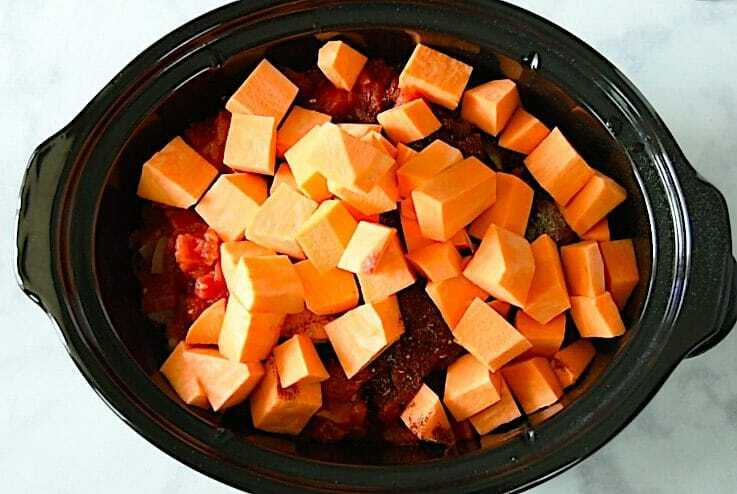 This looks like a great recipe too…love the sweet potato add. Thanks for sharing. I love slow cooker chili! I agree, it’s a must to brown the meat and onions! I love your addition of sweet potato! (one of my favorite foods! I haven’t tried that yet but I’m definitely putting it on the list!